The Vermont Luxury Real Estate Market is one of the most active in America. The Vermont lifestyle, scenic views and mountains are beautiful in all four seasons. 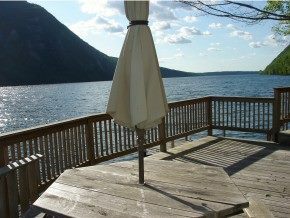 A lakefront home, Vermont Luxury Real Estate listing. The Vermont Luxury Real Estate markets consists of executive estate homes in spectacular locations. 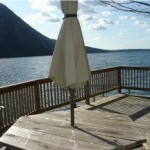 Lakeside homes, and large homes with privacy multiple car garages and mountain vistas are currently available. Your Vermont luxury home can be a maintenance free slope-side condominium with all the amenities of a great resort or a sprawling country farm estate with a barn and authentic stone walls built centuries ago. Our specially selected Vermont Realtors, Real Estate Agents and Realty companies can help you find the perfect Vermont luxury home for you. Ask us about VT luxury homes or share your comments. 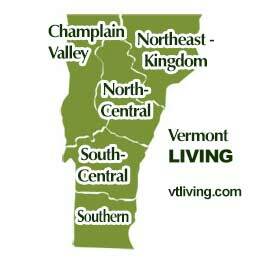 To feature your Vermont property listings, contact us. Explore sensational Vermont Real Estate in every region. Champlain Valley, Northeast Kingdom, North-Central, South-Central and Southern Vermont.